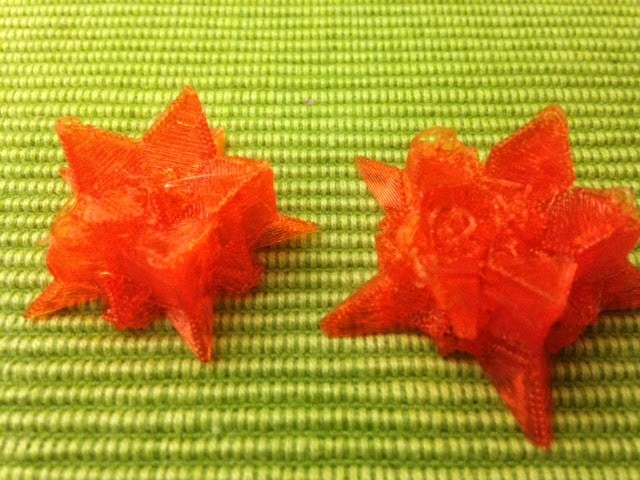 Today we look at two objects that I had trouble printing on a Replicator 2 without doing some fixes. 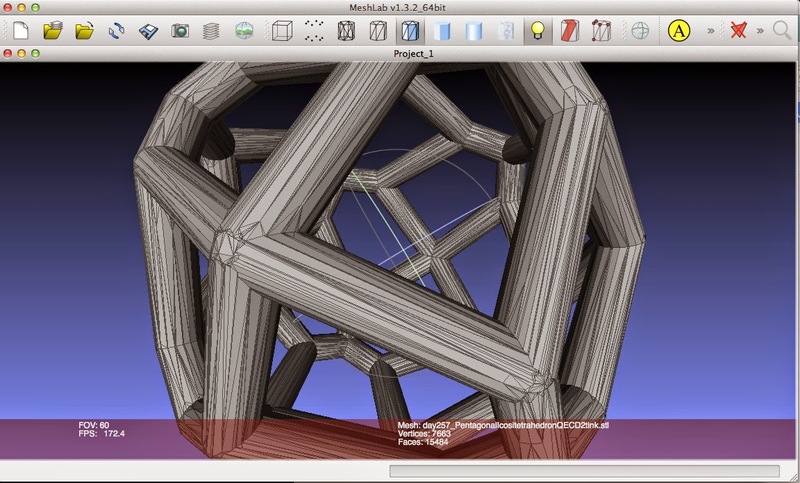 Usually when a model won't slice with MakerWare, I use MeshLab or TopMod to find and fix the problem. Sometimes this works and sometimes it doesn't. 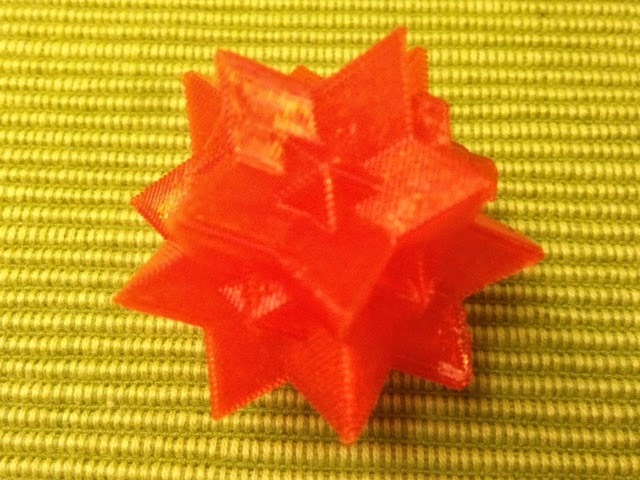 Today it didn't, and Tinkercad had to come to the rescue. The first model we had a problem with was a lovely Bilateral Pentagonal Icositetrahedron sent to us by Scott Sherman (loki3 on Shapeways), who we met at G4G11. The model is great and even the idea of this isohedron is amazing, but its vertices were "mothy" (thanks M. for that word) and the model fell apart at the corners while I was trying to remove the supports. 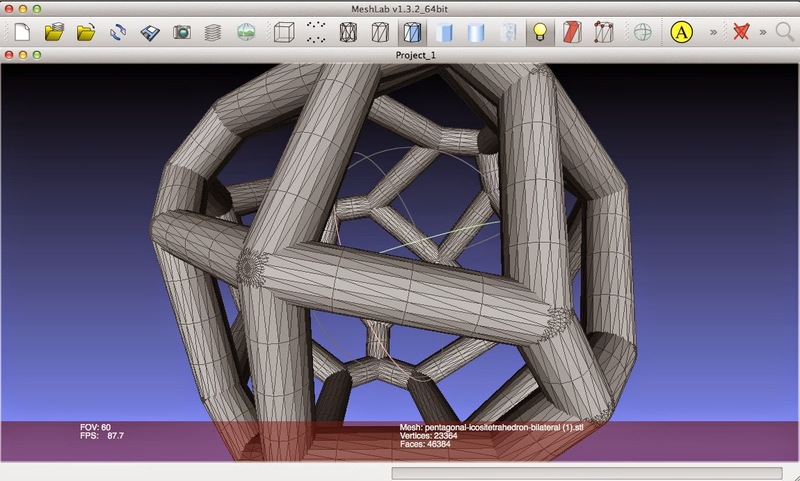 At first glance this does not seem to be an improvement of the mesh, but it turns out that this model prints just fine, with sturdy vertices (that's another great band name right there). 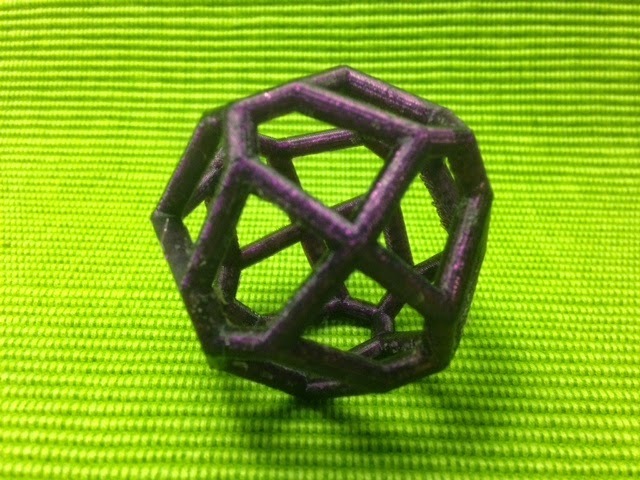 Below is a picture of how it came out; compare this model with the Pentagonal Icositetrahedron we printed on Day 197. 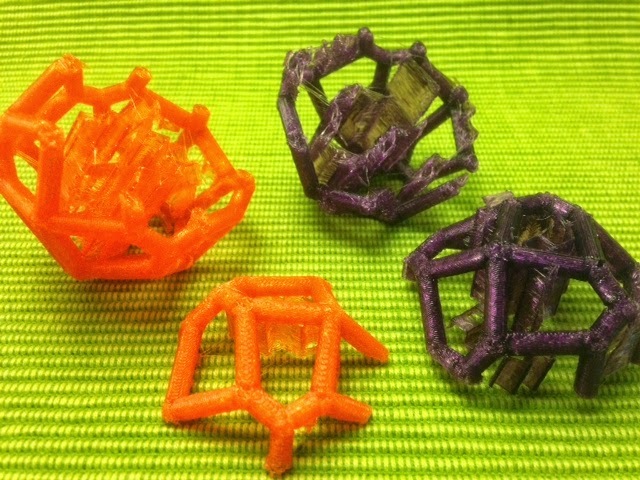 And stay tuned for tomorrow's guest post about this and other isohedra from Scott Sherman!